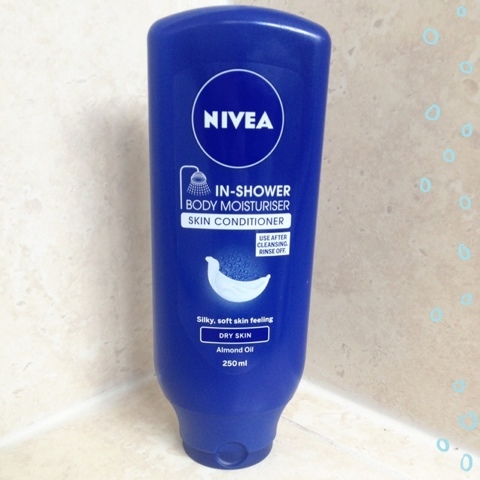 Having used this Nivea in shower moisturiser for a good month now I can officially say I love it. I really hate moisturising in the morning- I often forget to do it as I'm normally in a rush to get ready and hate being sticky before I leave the house. I have really dry skin on my arms and legs and this has completely cleared up any dry patches. I tend to use this towards the end of my shower- I apply it, step away from the shower for a few minutes then rinse. This is such a budget buy at around only £2 in Superdrug at the moment and lasts a while as you only need a small amount for a large area.